eBay sellers should make sure the tools they use aren't slated for the chopping block as the company prepares to shut down the eBay app store, aka the eBay Apps Center. eBay had opened its platform to third-party developers in 2008 through a program called Open eBay Apps so that its buyers and sellers wouldn't have to leave eBay to use third-party tools - a revolutionary move for the company at the time. Ten years later, it's killing the program. eBay sent an email to developers on Friday informing them it would begin notifying sellers of the program's closure this week. In its letter, eBay said it had decided to end the program "for business reasons," saying its ability to maintain the eBay Apps Center had declined. Some developers will be impacted more than others. One developer who did not wish to be named said sellers would have to find his company's solutions on its website since they won't be available on the eBay app store. His company plans to end some tools and add others as a result. A big advantage to the program was that the apps were approved and verified by eBay, which acted as an endorsement, he said. Christian Little, a spokesperson for inkFrog, said his company's tools can be accessed directly on the inkFrog website. In addition, inkFrog is available on the app stores of other ecommerce platforms, including Shopify and BigCommerce, he noted. "There are some truly amazing apps in Open eBay Apps and I'm sure most of the creators of them have ways to people to continue using them without relying on eBay to make them available," Little said. "I would recommend to all sellers who are using apps found in Open eBay Apps to contact the creator of the app in question and see if they have alternative ways to continue using them." eBay explained in its letter to developers that it had launched Seller Hub in 2016 and has been investing in and reinvigorating the eBay Developers Program with new APIs and technology. "We have continued to build on these new platforms to provide exceptional experiences for buyers, sellers, and developers." "We know this is short notice," eBay continued in the email, "but there is nothing we can do about the hardware decommissioning." eBay recommended developers help subscribers migrate to their externally hosted application and advised them to make sure they had their own subscription and billing capabilities. The Apps Center offered developers some obvious advantages in addition to subscription-management: it offered the promise of new-customer acquisition. Little said some users came to inkFrog through Open eBay Apps, but it was not a huge amount. "I believe part of the problem was the apps were not really promoted or highlighted to eBay sellers," he said. "I think in theory it was a fantastic idea to have an app marketplace for eBay sellers and I hope that in the future eBay will revisit the idea but put more focus on making sellers more aware of its existence." Brian Lawe, founder of MyStoreCredit.com, said his company's tool called MyStoreMaps was one of the most popular tools on the eBay Open Apps platform. However, despite offering a free version, it has "thousands" of eBay sellers using MyStoreMaps - not "tens of thousands." 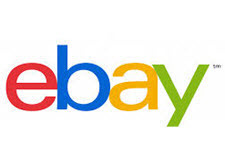 Lawe said he anticipated eBay's decision to close the program. "About three years ago, we built a duplicate path for our seller subscribers. We offered sign-up options on eBay as well as off-eBay," he said. "This strategy is paying off today because we can very quickly migrate all our eBay Open App sellers to our website service in two simple steps (setting their password on our site and completing a PayPal billing authorization on our site)." Auctiva was also prepared for this eventuality. Natasha Burns, Auctiva Product Manager, said her company had provided several apps through the eBay program over the years including an Auctiva Shipping Insurance and Auctiva Find & Replace app. "However, a few months ago when eBay made us aware of these changes, we discontinued those eBay Apps because we provide those services directly through Auctiva.com." "We understand this can be quite a devastating announcement to some sellers," Burns said. "However for those who did use the Auctiva Insurance, or Find & Replace app, I'm glad to announce they can still get those services with any of Auctiva's plans." eBay informed developers it would block new subscriptions to their Open eBay Apps on September 15th, and Open eBay APIs will cease to work shortly after October 1st. The program will be terminated entirely in late November. eBay will inform subscribers (its buyers and sellers) about the program shutdown beginning this week and will direct them to the Apps Center landing pages to gain access to the externally hosted versions of the applications they use. eBay did not say for how long it would keep the eBay Apps Center landing pages active. eBay did not respond to our inquiry asking how many sellers would be affected and how sellers could determine if the tool they use would be impacted by the closure of the eBay app store. Presumably they can check their eBay invoices, and anyone in doubt should contact the company offering the tool directly. Note: David asked me to remind readers that you can find eBay tools through our EcommerceBytes Ratings hub, which allows users to rate and review ecommerce services and online marketplaces. Developers can submit and update their listings - use the Contact Us button if you have any difficulties updating your listing. This section is provided as a service to sellers. Update 9/7/18: A seller told us eBay customer service could not confirm the company was shutting the Apps Center, here's a link to the page eBay provided to developers. Probably doing this in preparation for the next round of layoffs. eBay is like Sears, they keep closing down everything to do with the old site and expand on Devin's flops like Seller Hub and Promoted Listings that are causing the Titanic to sink in the first place. The only way forward is to fire Devin now, other than that eBay is the next Yahoo and the company will be sold for pennies on the dollar. ""[B]ut there is nothing we can do about the hardware decommissioning." I wonder if seller should be worried about other features they may be losing soon. Sounds like a CEO who knows he is going to be fired soon to me. The “worlds greatest TECH company” is at it again! In its letter, eBay said it had decided to end the program "for business reasons," saying its ability to maintain the eBay Apps Center had declined. Did I mention I sold 3 items this week that I put my inventory at 0, and amazingly, they re-upped themselves all on their own!! This does not happen when I do it thru ink frog!!!! "We know this is short notice," eBay continued in the email, "but there is nothing we can do about the hardware decommissioning." Huh? Wut?? There's "nothing you can do"? This is completely out of eBay's control? What pinhead wrote this notice, Dan Tarman? This is one of the more ridiculous and pathetic attempts at covering up another eBay cost reduction measure. Jack, I agree. There will be more of these cost reduction measures. This is an ongoing effort with no clear end in sight. Surely many more cost reduction strategies are currently taking place with only ones that must be publicized are. Wenig has no desire to share his dirty laundry any more than he absolutely has to. Worry not, Devin has some cards in his hand that are going to bail eBay out, Seller Hub, Promoted Listings, eBay Payments, and last but not least, the phenomenal eBay catalog. Just give Devin a few more years to get it together. ...it would never get paid. There would be no agreement as to what account it would be paid from. This is Bain-style preparation for bankruptcy. They fire hundreds of employees; sell off buildings; close down services and reduce the ones they still maintain; cheap out on the annual conference from what it used to be, and almost no one from ebay management showed up to talk to sellers; crank up fees and try to soak the sellers (or customers, or employees) for all they can get before they finally have to close down. My company went through this 4 years ago. This is how they do it. eBay. Circling the drain. Approaching the inevitable ruin. Look for more "We know this is short notice" statements to come. ebay made the biggest mistake 5 years ago when they decided the buyer was customer, and today is a reflection of that bad decision. Companies have learned the hard way thru out the years, that it doesn't end well, when you upset and go against your real customers, (THE SELLERS) ebay should have just looked at the history books. "but there is nothing we can do about the hardware decommissioning. Are their C64s broken again? What does HARDWARE have to do with running apps? Even though the existing apps are just now shutting down, the program closed to new developers soon after its initial creation. They basically allowed the early adopters to continue. I have never used ANYTHING eBay had to offer, including their shipping program. I decided when I started selling on eBay ten years ago that I would not give them any more money or power than I had to. So fortunately, I am not affected by this yet another slap in the face from eBay. I still predict we will someday find eBay's site down permanently. I honestly believe the powers that be are banking all the money they've taken from us and will one day just shut everything down.